The free zoo is open year-round and houses a collection of over 550 animals representing 250 species. 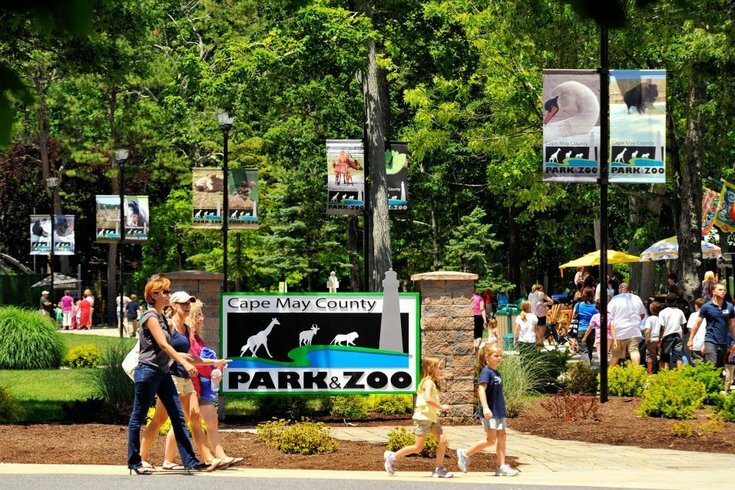 The Cape May area may be most known for its beach attractions, but those in the know make sure to visit the Cape May County Park & Zoo when in town. Tripadvisor.com recently ranked the Cape May County Park & Zoo as the 13th best in the world. Visitors cited its affordability (it’s free), wide-ranging array of animal exhibits and apparent high-quality care of its animals. The San Diego Zoo in California landed the top spot in the list of Top 25 zoos in the world. The Philadelphia Zoo did not make the list. As one reviewer wrote of the Cape May County Park & Zoo, “We needed something to do after a morning at the beach, and a friend recommended this zoo. I was skeptical that it was free, but it indeed was! …The zoo had just about every animal, and I couldn't believe how huge of an area was devoted to the zoo." The zoo is located off Exit 11 of the Garden State Parkway, just a few miles from several beach towns. According to its website, the zoo is currently home to about 550 animals representing 250 species, including 13 flamingos from Michael Jackson's Neverland Ranch.